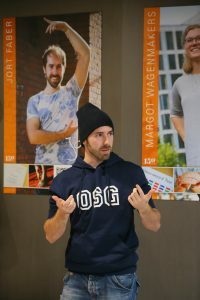 For the 150 year anniversary of the school OSG westfrielsand in Hoorn the OSG decided to pick five graduates with a inspiring story and create a small photo gallery from them to function as an inspiration for there students. Proudly I can announce that Jort is one of the five students chosen! Now I will be on the wall, right next to the entrance, of my old school with a picture and a QR code which will give a short insight about my story and path. Thanks to het OSG for giving me this honour! For the story on the website of the OSG click here. Note: it is in dutch.